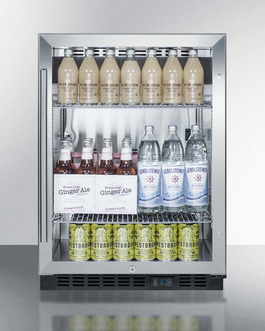 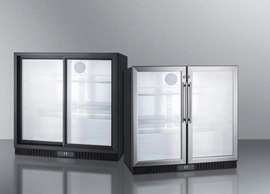 SUMMIT's commercial beverage centers offer an attractive display for products under reliable cold storage conditions. 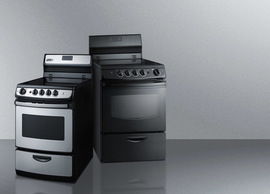 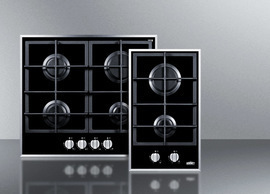 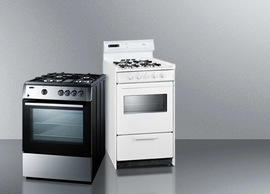 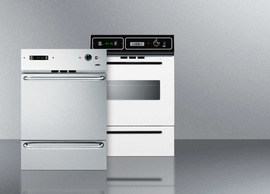 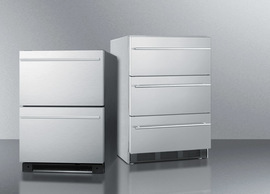 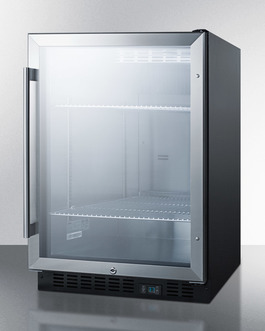 The SCR610BL comes in an easy-fitting 24" footprint, with a front-breathing design that can be built-in under counters or used freestanding. 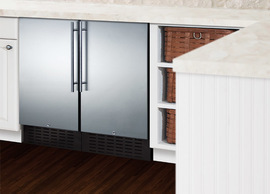 The reversible double pane tempered glass door includes a professional handle and a factory installed lock, with stainless steel door trim to help highlight stored products. 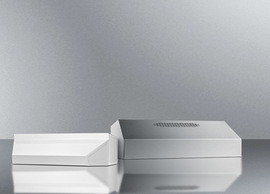 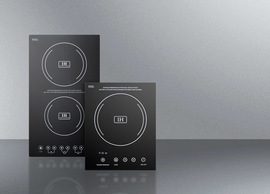 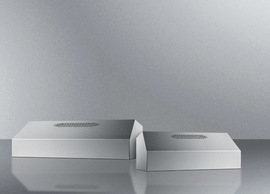 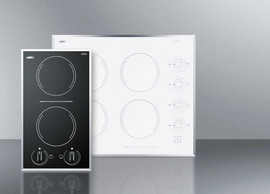 A digital thermostat is located in the kickplate for easy temperature management. 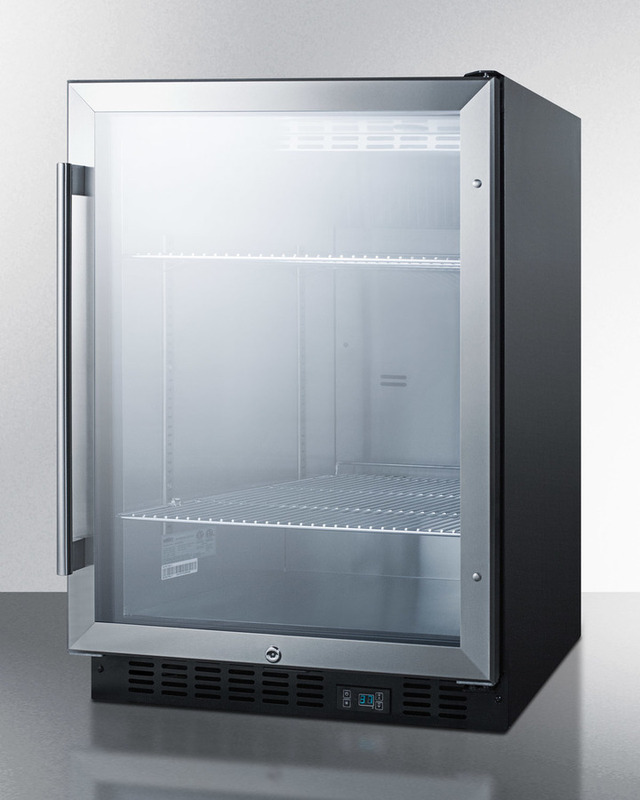 Inside, the SCR610BL utilizes low maintenance automatic defrost operation with an internal fan to ensure even temperature distribution. 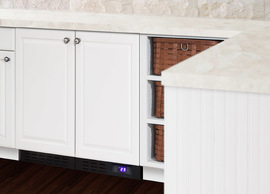 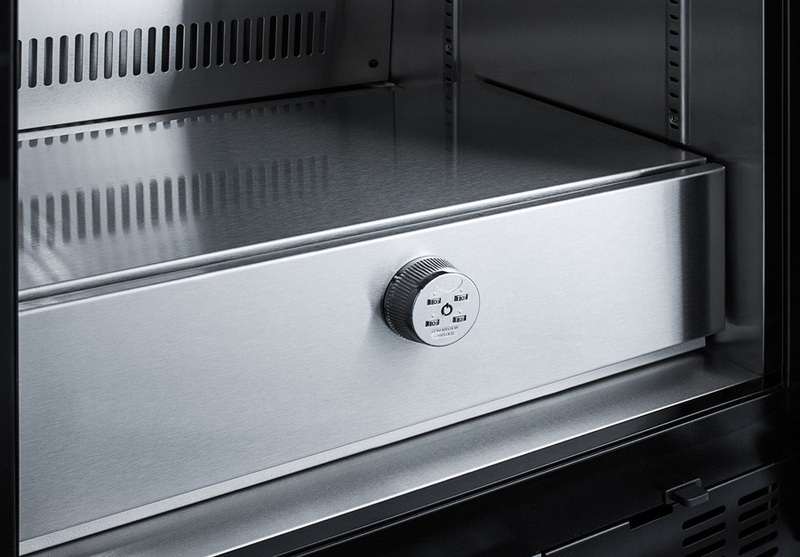 Recessed LED lighting offers the perfect display conditions inside the durable and easy-to-clean stainless steel interior. 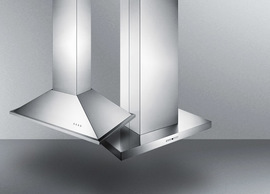 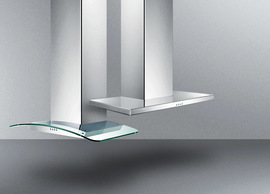 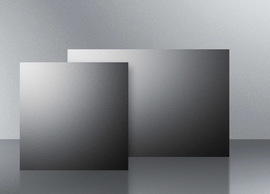 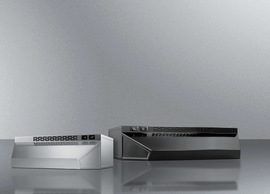 This unit includes three cantilevered chrome shelves to ensure flexible storage that accommodates any item size. 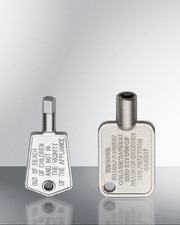 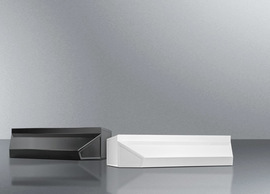 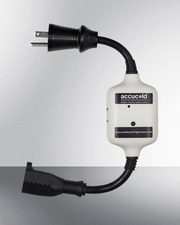 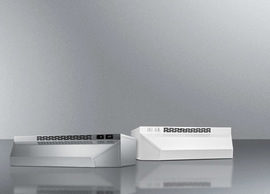 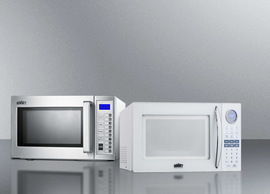 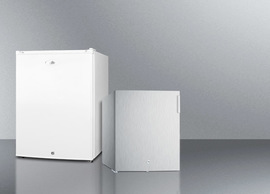 High temperature and open door alarms offer added protection. 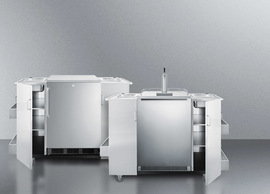 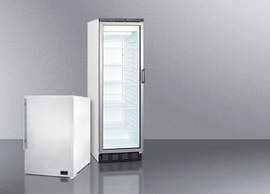 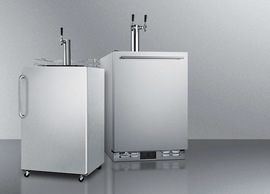 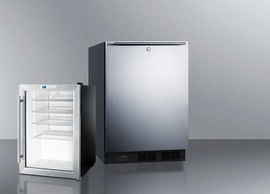 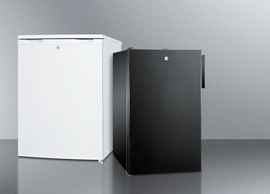 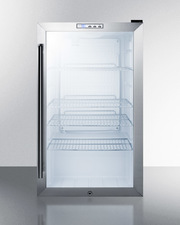 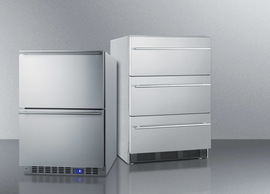 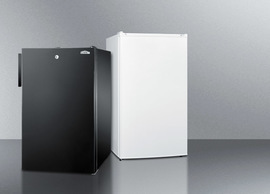 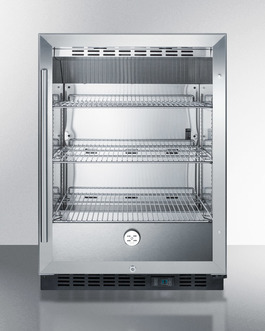 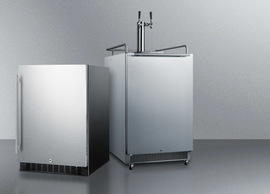 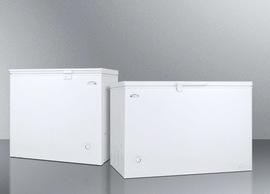 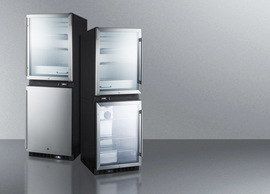 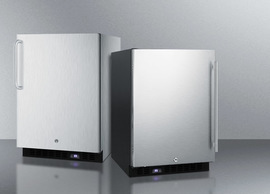 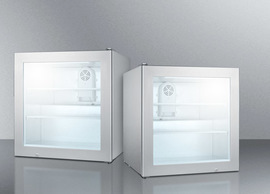 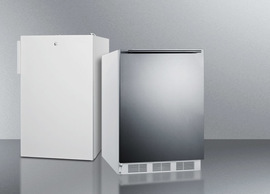 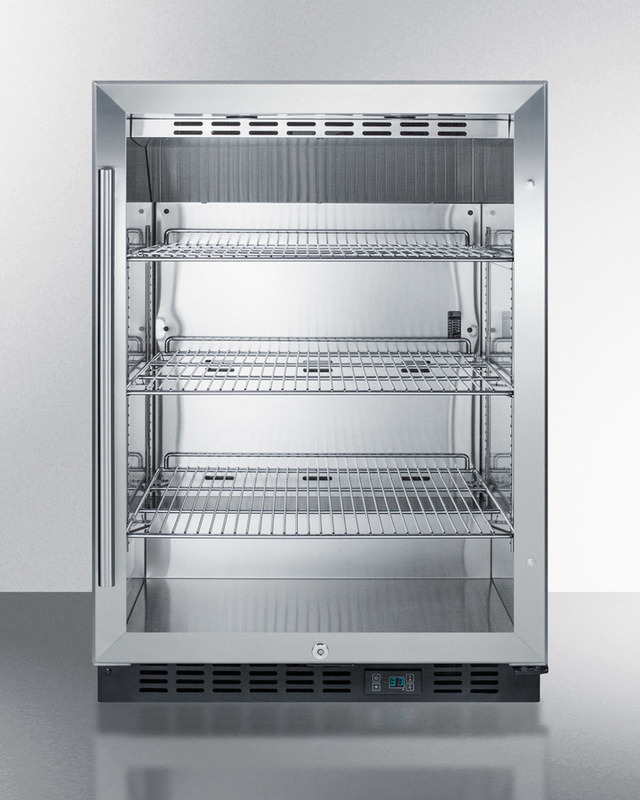 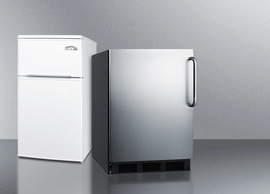 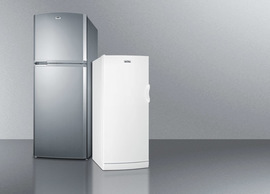 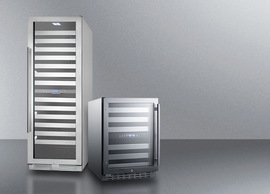 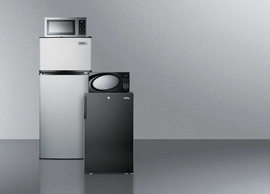 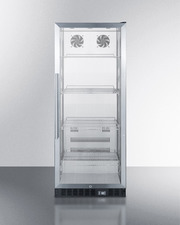 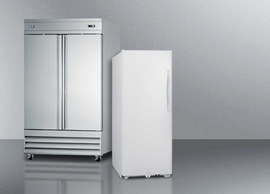 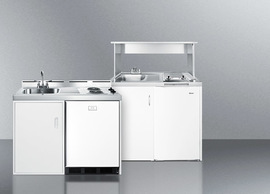 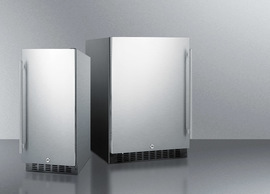 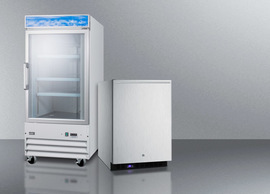 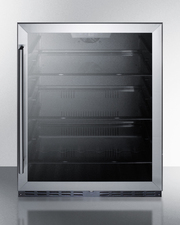 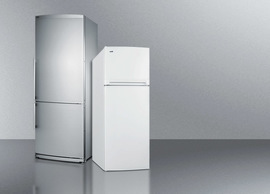 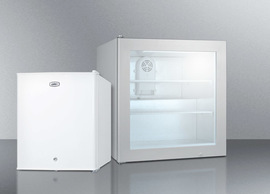 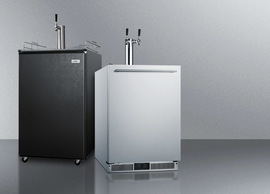 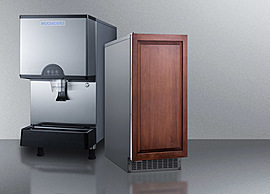 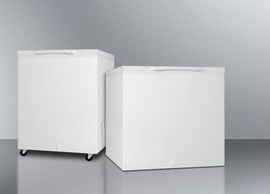 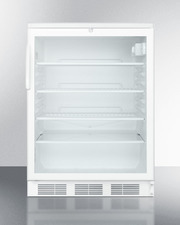 The SCR610BL is ETL-S listed to NSF-7 for use in commercial settings and is ENERGY STAR certified as a commercial refrigerator.